Copyright: The contents, information and images contained on this site are the intellectual and physical property of the owner and may not be used or coped by anyone without the full written consent of the webmaster. What coffee roast should I buy, light, medium or dark? The simple answer is that be you should buy the coffee that you enjoy the most. This doesn’t however do this complex subject any justice. Not unlike the chef who refuses to serve a well done steak, many speciality coffee roasters (often called artisan roasters or third generation roasters) will baulk at the idea of a very-dark or as it is commonly referred to, an “Italian Roast.” The main reason for this is that darker roasts are dominated by the “roasting” flavours whereas the lighter roasts allow the palette of natural bean flavours to come through. So there you have it, the longer (or darker) the roast, the less you will get of the coffee flavour and the more you will get of the roasting flavour. In America, millions converted from tear-packet instant coffee to popular coffee chains who used a particularly dark roast. These converts therefore associated “good coffee” with the roasted flavour of this very dark roast. If you are used to a similar roast, you will probably also associate this as the true coffee taste. I stress that there is nothing wrong with this at all, particularly when used in milk based, sweetened drinks. 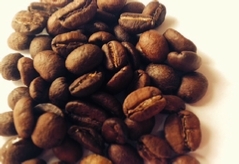 I would nevertheless encourage you to experiment with lighter roasts and to compare the taste. 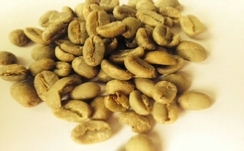 See if you notice the difference - try and pick up the somewhat sweeter flavours in the medium roast. These will be particularly evident and more appreciated in drip filter or non-pressurised brewing systems. In an ideal world, coffee should be brewed anytime from three days to a a few weeks after roasting and immediately after grinding. Any post-grinding delay will have a significant effect on the flavour of the coffee. This doesn’t mean that you need expensive professional equipment, there are many reasonably priced grinders on the market. Our Cutman & Hawk range consists of two roast levels. Our “Signature Filter Blend” which is a medium roast and our “Signature Espresso Blend” which is a medium dark/dark roast.